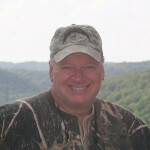 This week Karen Lynn interviews prepper fiction authors Bobby Akart who is also blog owner of Freedom Preppers, contributing writer at America’s Preppers Network, and Steve Konkoly who has a strong military background and Author of several books. 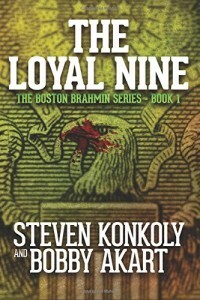 Karen Lynn can’t wait to dive right in and discuss their latest book The Loyal Nine which is the first book in the six part Boston Brahmin series. 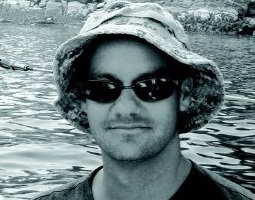 The series, set primarily in Boston, revolves around nine Bostonians led by a Harvard – Kennedy School of Government Professor, Henry “Sarge” Sargent, and his brother Steven, an ex-navy Seal turned deep cover mercenary. The lineage of these nine Bostonians date back to the American Revolution. Their lives have been pre-ordained by their mysterious benefactors, The Boston Brahmin, wealthy, direct descendants of The Founding Fathers. Each has been groomed to perform an important role involving the shaping of national policy and to protect the interests of their benefactors. The goal of The Loyal Nine – protect America from tyranny in a time of collapse. Book One, The Loyal Nine, will introduce the characters and provide the reader with background on the condition of America as it slips into economic and societal collapse. As the series continues, collapse events will escalate and The Boston Brahmin series will become a post-apocalyptic thriller. Karen Lynn thoroughly enjoyed reading this book her review will be posted on her blog at Lil’Suburban Homestead! Come join Bobby Akart, Steve Konkoly, and Karen Lynn on the show…call in, join us in the chat room it is sure to be a fun and engaging show! Listen to this broadcast on Societal Collapse A Fiction Interview in player below! Previous: Previous post: Fire Season & Being Prepared! Next: Next post: Independence Day Celebration!